Welcome to our certified organic farm, Thankful Harvest. Our family farm is just outside Holstein, Iowa. We began our journey to be certified in 1999, but we are a farming family with four generations of history in the midwest. We provide regular deliveries of our artisan quality certified organic 100% grassfed beef and lamb, certified organic free range poultry, and certified organic free range soy-free eggs. Northwest Iowa, including Sioux City, Spencer, the Iowa Great Lakes and surrounding locations. If you are not in our delivery area, feel free to contact us. Are you looking for healthier food choices for your family? You are not alone. There are a growing number of Americans looking for healthier food choices for their families. Many Americans today suffer from health challenges. Additionally, many of the modern farming practices and technologies have caused questions about them being detrimental to our health as a nation. A growing body of evidence suggests that many of the health problems associated with eating beef are really problems with corn-fed beef. We promise to provide your family with high quality organic grassfed meat products from our certified organic farm. We proudly raise pastured cattle, lamb, turkeys, hens and broilers on our family farm in western Iowa. We also acquire qualified cattle and sheep from other similarly managed farms. We feed our beef cattle and lambs a 100% grassfed diet that is also certified organic. We don't supplement them with grain feed or grain by-products, or oil seed or oil seed byproducts on our organic farm. We feed our pastured poultry organic feeds. We don't feed soy or soy by-products. Why have our Organic Meat Delivered? Our organic meat delivered directly to you makes it more convenient and affordable than meat found in grocery stores. Here at Thankful Harvest, we believe in being good stewards of the land. Our pasture farming techniques foster healthy ecosystems that support the animals, the land, and our community. We apply the very best pasture farming practices we can. Organic foods are common today in most grocery stores, but the meat industry is lagging behind in most urban areas. We realize that for most people it's hard to find high quality organic meat at the grocery store, especially 100% grassfed beef. 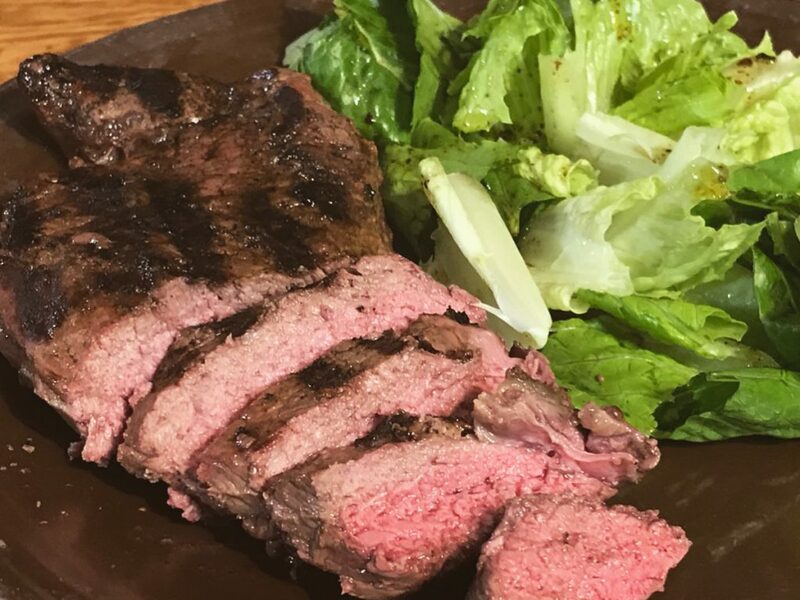 To offer our customers the ultimate convenience, we offer our certified organic 100% grass fed meat delivered to your door. 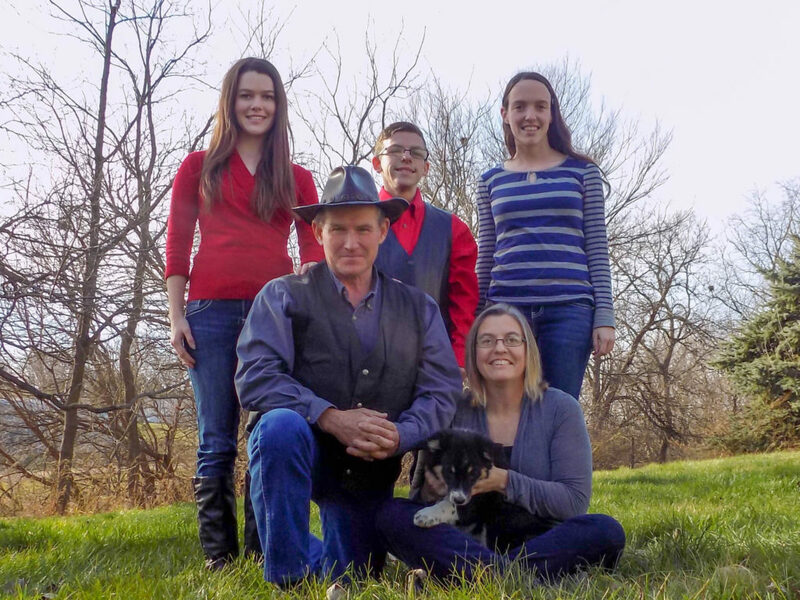 We, Tom and Kristi German, currently manage the farm with Tom's mom, Bev, and our three kids: Morgan, Daniel, and Grace. We use centuries old sustainable farming methods to create the healthiest, tastiest restaurant quality food for our customers. Our journey to organic production began in 1999. We began our pasture based system in 1993. In the early 1990s, Tom and Kristi came back to this Holstein, Iowa family farm, having both graduated from college and spent time working in the business world. Our desire to raise healthy livestock and healthy children inspired us to create a unique pasture based farm. We wanted to see our vision become a reality. Quality food comes from healthy animals. At Thankful Harvest, we strive to provide our herds with optimal living conditions, healthy natural food sources, and humane processing practices. Thankful Harvest Farm is an organic farm committed to sustainable practices. This means any product you buy from Thankful Harvest Farm is free from harmful chemicals, hormones, and synthetic preservatives. We will not put anything on the ground that could harm our soil or groundwater. You have our word. The cattle and lambs on our organic farm are 100% grass fed. They are fed no animal byproducts or grain feed or grain by-products in their diets. During the growing season, we cycle our herds between pastures. When grazing is severely limited, our livestock are fed organic forage that has been cut and stored for them. This cycle provides our livestock an optimal nutritional diet for the purpose of feeding your family. No synthetic preservatives are used in any of our organic meat products. Organic meat delivered right to your door may sound too good to be true. This was our vision when we began Thankful Harvest. We understand most people are too busy to travel distances to purchase organic grass fed meat. That is why Thankful Harvest made the decision to offer certified organic 100% grassfed meat delivered directly to our customer's homes from our pastured based sustainable family farm. By delivering our products, we create rewarding relationships. We also provide value and convenience that you can't find anywhere else.